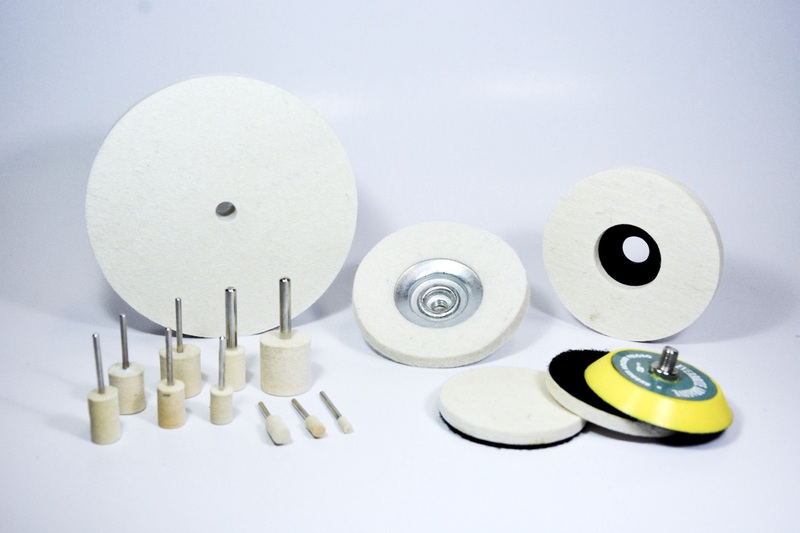 Felt type products can be use in different type of fine polishing applications. Such as jewellery, watches, copper, brass and glass. They can also be used with polishing compounds. These felt products are durable, of high density felt materials and produce good results. 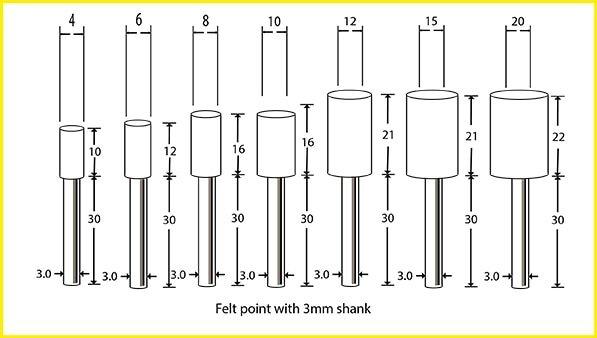 These felt products can be used with different types of hand tools, such as pencil grinders, die grinders, bench polisher or velcro random orbital sanders. The colours of the felt varies. 4" x 1", 6" x 1", 8" x 1"
Disclaimer: Possible manufacturer's dimensions varies +/- 1 to 2mm for length in felt bob and shank. Magnified at 200%, details view of the felt.